Create 3D objects, Fractal Surfaces, Terrains and Wireframes in After Effects with Trapcode Mir. Design flowing surfaces and abstract shapes for motion graphics or import 3D OBJ Models. Replicate and fractally distort your Mir surfaces and OBJs, and display them as polygons or vertices. Mir runs on the GPU and works with After Effects’ 3D camera and lights. Design realistic or alien landscapes using Trapcode Mir’s fractal displacement mapping. For the first time ever, quickly and easily load 3D OBJ models into your After Effects composition. Trapcode Mir makes it simple to texture, light, repeat and deform your models as part of your scene. Choose from Mir’s 16 surface presets, designed to give you a head start in setting up the materials, shaders and textures for different surface styles. Every preset is fully-customizable. 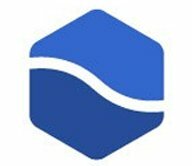 What's new in Mir 3? Bring your motion graphics into a new dimension by using 3D models as Mir objects. Choose from Mir’s library of over 60 OBJs, or easily load your own models using the new OBJ Loading Panel. 3D Models can be deformed and repeated like any other Mir surface. Mir’s new surface presets make it fast and easy to set up the materials, shaders and textures for different surface styles. Every preset is fully-customizable. Includes setups for Smooth Surface, Faceted Surface, Wireframe, Chrome, Cartoon and much more. For the first time ever, quickly and easily load 3D OBJ models into your After Effects composition. Trapcode Mir makes it simple to texture, light, repeat and deform, your models as part of your scene. Create one surface or import one 3D Object. Then use the repeater controls to duplicate and distort the Mir object for complex effects. Trapcode Mir uses After Effects’ 3D Camera and Lights so you can fully integrate your Mir surfaces with your motion graphics and VFX shots. The core of Trapcode Mir is simple and powerful: A mesh object that’s made of polygons, shaped by fractal noise, and textured and illuminated in a 3D environment. The polygon geometry and the fractal’s organic look combine to create flowing abstract designs and natural-looking elements. 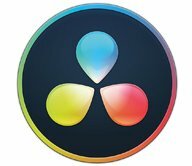 Plus Mir is fully integrated into After Effects’ comp lights and camera, with features like Specularity and Ambient Occlusion that add shading and reflections. Your result is a beautiful animation formed of light, texture and depth. Bom, bom, bom. Can you hear that ambient soundtrack? It’s counting the beats as you render, but you’re dancing along because Mir moves so fast. Mir is built on OpenGL performance so you can increase polygons and complexity without ever hitting a speed issue, even when working in HD. Keep the beat going as Mir lets you instantly preview your animation for an interactive and responsive workflow. Mir is the DJ that keeps the rhythm flowing. Go where no Trapcode has gone before. Creator Peder Norrby was inspired to develop Mir as he listened to the design community talk about their need for speed. Mir includes some of your Trapcode favorites — support for AE lights, texture mapping,fractal fields — to create the organic geometry that you already love in Trapcode products like Form 2. But Mir gives your design a unique spin with fantastic (and fast) new options, like the Repeater for easy instancing and Draw modes that create a 3D skin. Beam us up! Mir responds quickly because it’s built on OpenGL rendering, so you can preview your effect instantly and keep on tinkering. Mir creates the abstract designs that you love in Trapcode products, but these react with speed and ease. You can’t lose weight sitting at the computer, but your creative work just did. A polygon mesh is the base of your Mir design, which bends and twists to your wishes. Use the Geometry group to set the size and position of the plane and define its shape with number of vertices. Step X,Y creates a striped or block effect, while Bend X,Y distorts the mesh into arcs or vortex-like effects. Repeat it. Offset it. Rotate and scale it. The Repeater group creates instant copies of the polygon mesh, which you can manipulate for creative effect. These repeats have a low render hit, so they are very pliable as you adjust features like Instances, Opacity and Translate. The Fractal controls shift your polygonal planes into High Mountain territory. Mir uses Perlin noise, a VFX favorite, to distort the mesh in 3D space. The fractal noise creates a textured displacement effect like crumpled paper to quickly create natural-looking fluctuations and steer-bucking distortions. Yee haw! The Draw mode adds an interesting surface to the Mir mesh. Mir can appear in a traditional wireframe, a cloud of points or a solid surface. You can ‘redraw’ with options like Line Size, Point Size, DepthBuf and Blend mode. No matter what surface you choose, Draw has fast, easy options for unique shapes. Three Shader modes apply different lighting and depth. Flat mode is a flat shading that’s great for abstract forms and geometric elements. Phong renders a smooth, reflective surface that integrates well with AE comp lights. The all-new Density mode forms a thin film-like material that is responsive to camera angles. Three abstract backgrounds, one flyover landscape, and one text composition. Mir includes five professionally animated After Effects projects that kickstart how you use Mir’s deepest features. 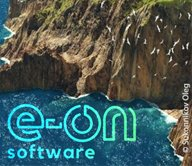 Then dip into our secret sauce with 18 animation presets created by Red Giant Gurus to get you inspired. The Material group sets the color, opacity, and reflectiveness of the Mir mesh. Shading options like Falloff, Specularity and Diffuse decide how Mir responds to the comp lights in your scene. Illuminate and color your Mir world with up to eight Point lights and an unlimited number of Ambient lights. The Texture group lets you map a texture (surprise!) to the mesh. Texture mapping is great for adding an animated logo, bringing in video footage or just slapping on a colorful skin. Animate the perfect texture with Texture Coordinates that map it to a specific plane and Texture Detail for repeating the map. Quickly add ambiance to a landscape scene. The Ambient Occlusion controls simulate depth and obscuration by shading the polygons inside the Mir object. The Visibility group determines how near or far the Mir plane appears in Z-depth, and gives you fog effects to add color and mystery. GPU requirements for Trapcode Mir: Modern Nvidia or AMD card that supports OpenGL 2.0 or later. 1 GB VRAM is required. 3 GB VRAM is recommended when working with high resolutions. What's new in Mir 3.0.1? 3D MODELS - Bring your motion graphics into a new dimension by using 3D models as Mir objects. Choose from Mir’s library of over 60 OBJs, or easily load your own models using the new OBJ Loading Panel. 3D Models can be deformed and repeated like any other Mir surface. SURFACE PRESETS - Mir’s new surface presets make it fast and easy to set up the materials, shaders and textures for different surface styles. Every preset is fully-customizable. Includes setups for Smooth Surface, Faceted Surface, Wireframe, Chrome, Cartoon and much more. 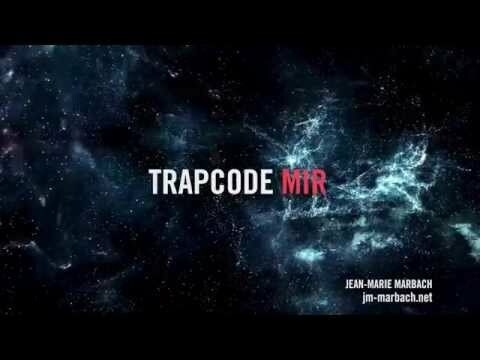 What's new in Trapcode Mir 2.2.2? What's new in Trapcode Mir 2.2.1? Fixed rendering issue when Depth of Field was enabled. What's new in Mir 2.2? What's new in Mir 2.1.2? Customers were reporting an OpenGL error in After Effects CC 2018. This has now been fixed. What's new in Mir 2.1? Post at Red Giant TV: Aharon Rabinowitz shows you how to take Trapcode Mir in a whole new direction using Amplitude Layers. You'll learn to create looping animation, cityscapes, audio-triggered displacement and more. Check out these new tutorials on Trapcode Mir at Red Giant TV. Quick Walkthrough Introduction to Mir, and Getting Started Parts 1 & 2 by Peder Norrby of Trapcode. Trapcode Mir was released today, along with the new Trapcode Suite 12. In this tutorial Tibor Miklos of aetuts+ shows us how to make a crumpled up piece of paper fold out into a logo or emblem using Trapcode Mir! You know the open for the sitcom "Community", with the crumpled paper? Trevor Penner explains how to do this effect. These tutorials for Trapcode Mir ought to lend you a hand! There is always time to learn something new! VinhSon Nguyen from Creative Dojo always puts out great content and in this tutorial, he shows how to create liquid water (not that solid kind!) with Trapcode MIR in After Effects. This is an oldie but a useful tutorial from Aharon Rabinowitz at Red Giant. He explains how to shut the mesh to create a seamless wormhole in Trapcode Mir. Use it on your next time travel journey! Learn how to create seamless tunnels using Mir in this tutorial from Aharon Rabinowitz. Brian Behm will get you up and running in Trapcode Mir 3 quickly, as he shows you all of the great new features in the latest release, which came out last month. He shows you how to import and play with 3D objects into Mir. He shows you examples with a rainbow heart, an array of bananas, and more! It’s very fast and fun to use.